We build our innovative harvesting equipment with high-quality materials that stand the test of time. Every model we offer is handcrafted with incredible functionality and a modern, user-friendly design. The COE C7 SHAKER pairs with a COE L2 RECEIVER to form a catching frame set that can harvest fruit, nut, olives and other various crops. Its versatile deck design allows it to work in multiple tree spacing’s efficiently. The COE L2 is available in 90 or 45 degree elevator configurations and pairs with the COE C7 SHAKER side to form a catching frame set. A variety of options for bin or bulk handling is available to suit any crop. The COE S7 SIDE MOUNT SHAKER is used to trunk shake walnuts, almonds and pecans. The side mount shaker design travels straight down the row, making for a fast and efficient harvest. The COE M7 MONO BOOM SHAKER is used to harvest Walnuts, Almonds and Pecans. The Mono Boom can limb and trunk shake at a higher point on larger trees for more efficient removal. 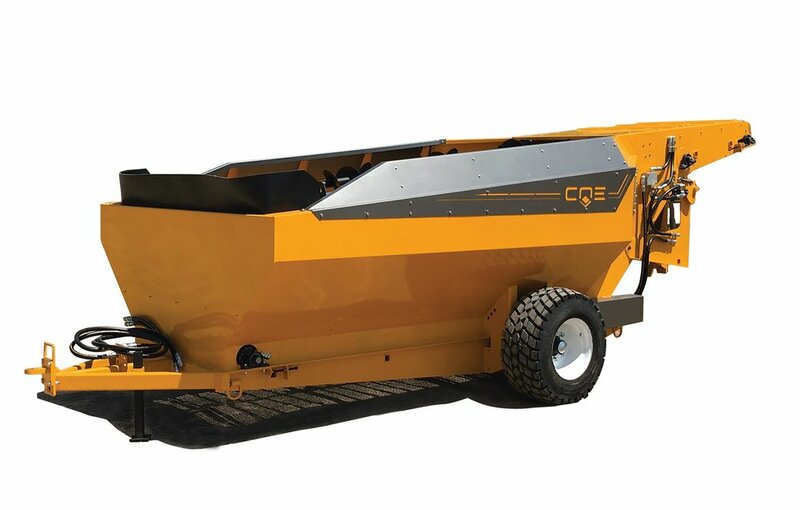 The COE R8 BANKOUT is used to support harvester equipment in the field by unloading and then transferring product to trailers by use of an elevator. Its sleek profile allows it to move easily in tight orchard plantings. Equipped standard with air conditioned cab, auto shift & VARIOSTEER makes for productive operation. 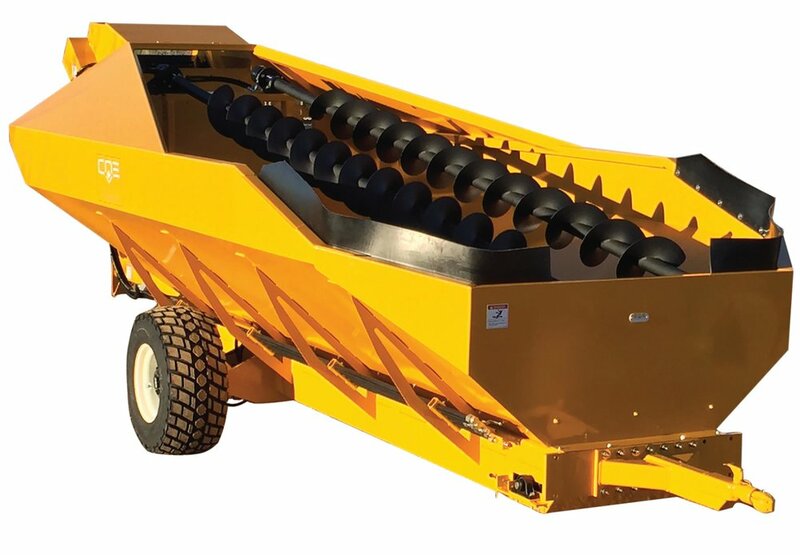 The COE R10 BANKOUT high capacity design is used to support pistachio harvester equipment in the field by unloading and then transferring product to trailers by use of an elevator. Its sleek profile allows it to move easily in tight orchard plantings. The COE W8 BIN CARRIER distributes empty bins and retrieves full bins. The bin carrier is an efficient tool to make sure your harvester set is productive and not waiting on bins. The COE B8 RESERVOIR CART for bulk handling of nut crops. Its sleek tapered shape allows it to pass through orchards easily. A variety of options allow the B8 to be easily tailored to specific crops. The COE E5 ELEVATOR is used together with COE BANKOUTS to load harvested crops into trailers. With the self-propelled option, the elevator can set up and move without the assistance of the bank out. TRAX by COE was designed to provide superior flotation & stability in challenging conditions. From winter sanitation in muddy conditions to sandy soil TRAX keeps working where tire machines would get stuck.